First of all, if you’re unfamiliar with the Southbank Centre, it’s Europe’s largest multipurpose arts center, holding an art gallery and several performance spaces. It’s very centrally located in London, easy to get to and close to many other prominent arts destinations. The Southbank Centre’s brutalist architecture also means that it has grit. Waterloo station, a major transportation hub, is nearby, and areas around train stations (of course) tend to be rough. That’s what gives Southbank an edge in more than one way. It’s this edge that skateboarders were drawn to in the early 1970s, not long after the building was completed in 1968. In the same way that 5 Pointz was a graffiti mecca, Southbank is a skateboarding mecca. It is the “birthplace of British skateboarding,” honing homegrown talent and attracting skateboarders from around the world. It wasn’t officially a park, but it was a “tolerated space,” evolving into a historical and spiritual home for skateboarders. 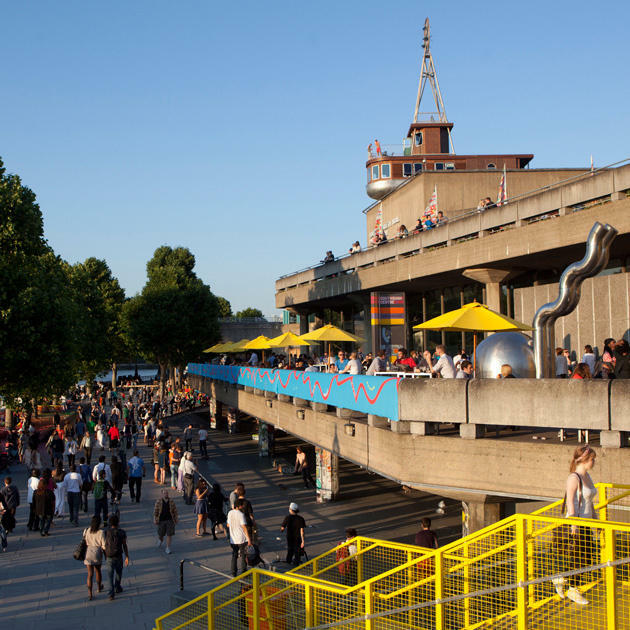 In March 2013, the Southbank Centre announced plans to renovate and refurbish part of the facility, which would also mean the elimination of the undercroft in favor of retail space. An organizing group, Long Live Southbank, formed quickly thereafter to represent the interests of the skateboarding community. LLSB has circulated petitions to save the space, which have been signed by thousands, and they attempted to have the space designated as a village green. 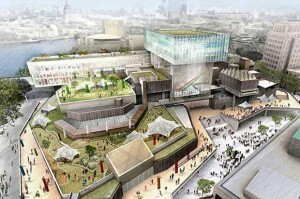 Neighbors BFI and the National Theatre voiced concerns over the Southbank Centre’s plans. An alternative design was created, and there’s now the real possibility of the skatepark’s relocation to beneath a nearby bridge. The Southbank Centre has also legally guaranteed that there will be a future for skateboarding and other urban art forms in its plans. I’ll just also say that I’m somewhat biased about this. I love the South Bank. No trip to London is complete (in fact, it was the first thing I did on my last visit) without trekking across the Golden Jubilee footbridge, landing on the South Bank, buying a couple used books from sellers set up in the open air along the Thames, checking out what’s happening at the Hayward Gallery or the Royal Festival Hall and then popping into the Tate Modern or the BFI Southbank. The skateboarding and graffiti are part of the essential South Bank experience. But of course, it’s complicated. Cultural institutions have to make tough decisions when it comes to renovation and staying afloat in uncertain economic times. Yet the South Bank has become an increasingly desirable destination for Londoners and tourists, especially as two footbridges and a new train line have opened over the past 15 years. So the question remains: is it possible to balance urban revitalization in spaces with authentic and organically created community areas, or will these two things always be in conflict?